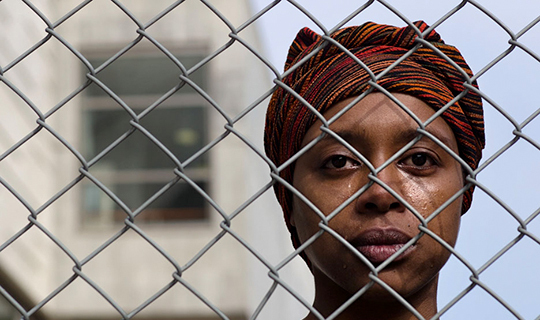 An African woman arrives in a strange country fleeing for her life, seeking safety and asylum. Having committed no crime she is indefinitely confined, interrogated, humiliated and abused. She witnesses the cruelty of the authorities and their casual disregard for an individual's human rights. This strange country is England. In 2008, The Bogus Woman played to over 3,500 people during a sell-out run at Theatre by the Lake – controversial programming for Summer fare in the Lake District. It was evident that this powerful and poetic one-woman play should be shared with a wider audience. Tragically, seven years on the asylum debate still remains at the centre of British politics and this play continues to be just as relevant and challenging. Krissi Bohn (Coronation Street) delivers Kay Adshead's outstanding monologue – bringing to life the 51 sharply etched characters who retell the experiences of this Young Woman.